… I know I was posting last year some ‘o this good stuff … healthier foods/drinks etc., that w/ my running became an integral part of whom I am in the here and now … my, in the grand scheme of things effort becoming a healthier (better too) human if you will! Tiff found the recipe on one of her many foodie sites; is the second time I’ve made it this week. 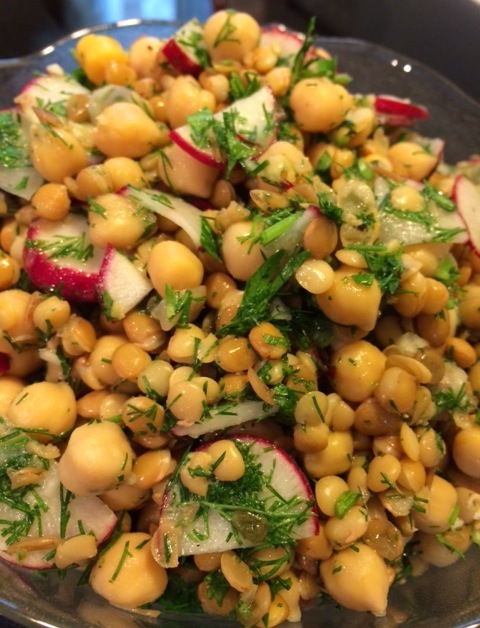 I love salads, especially tasty-good-for-you-salads … chick peas, lentils, radishes … drizzled & tossed w/ a lemon, dill, dijon, garlic, vinaigrette … so mothereffing awesome!! … a coupla pics, y’all!! 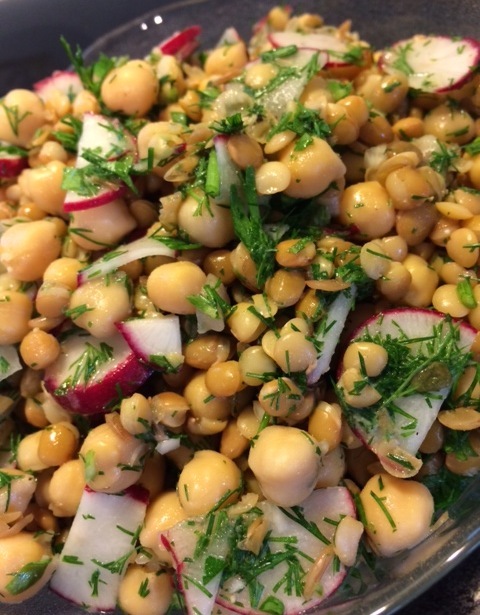 Categories: food, health, life, luck, musings, running | Tags: chick peas, dijon, dill, food, foodie, good eats, healhty, integral part, lentils, lifestyle changes, radishes, running, salad, Tiff | Permalink. well lookachoo!! 😉 love it.